1. Finely chop 170 g (6 oz) chocolate and set in a double boiler over simmering water with the coconut oil. Stirring constantly, melt. Once melted, remove from heat, set aside, and let cool to room temperature. 2. Chop the remaining 114 g (4 oz) chocolate into large chunks, about the size of big chocolate chips. Set aside. 3. In a bowl, whisk to combine the flour, baking powder, and salt. Set aside. 5. Preheat oven to 350° F. On lined or greased cookie sheets, drop 1 to 1½-inch balls of dough, leaving about 2 inches between each ball. Sprinkle the dough balls with salt flakes. 6. Bake the sheets one at a time for 8 to 10 minutes, rotating once half-way through baking. The centers should still be soft when you remove the pans from the oven. Let the cookies cool briefly before enjoying hot, or store in air tight containers for about two days. Serve with a shot of milk. OMG, your cookies seems to be delicious! 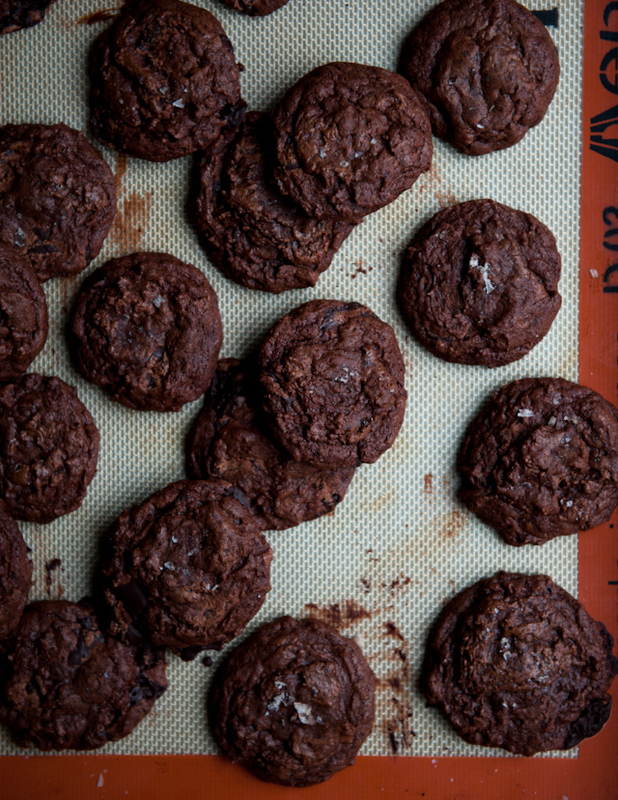 dark chocolate + salt = perfect combo! Love all the photos, but especially the animated gif. You are so stinkin' talented! Congrats on the post being pubilshed on your school site... I think that's really great and you'll reach so many people struggling with the same thing, I'm sure! I love what you wrote in your previous post, especially since I live in France with a French husband and I feel like the culture is so "go to university-get (one) degree-find job-make (one) career" (much more so than the U.S.) that they have a hard time imagining someone doing several things. Let alone very different things. Which is kind of me: love so many things! It may not be easy, but imagine what wings it will give all of us to live unapologetically!! Meanwhile, these cookies may make me too heavy for my little wings but oh-my-lord, I don't care. 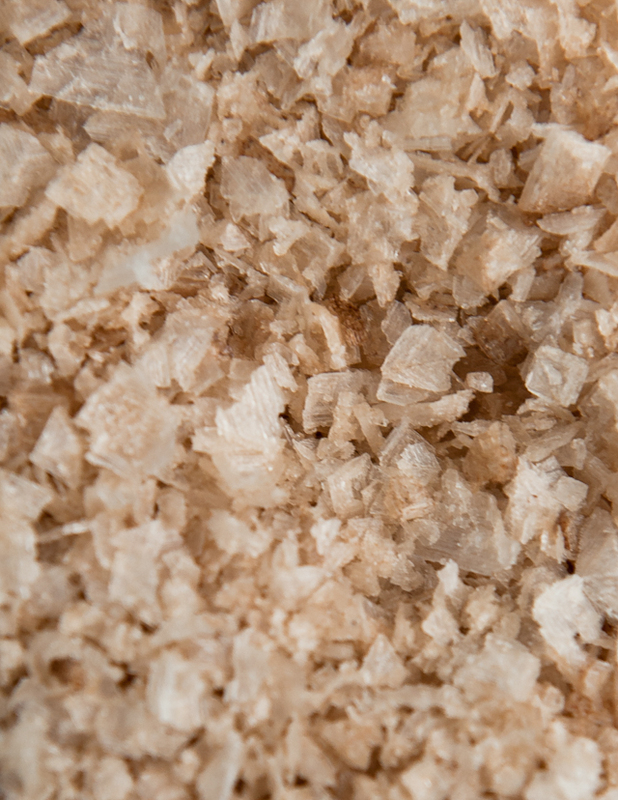 With the touch of crunchy salt? Amazing. And the little red milk bottle sweater - adorable. Wow how do you get your animated gifs so perfect? What programme do you use/. Beautiful photos but the milk jug warmer puts a smile on my face. Congrats on being done with your essay. Reading this story at 9:30am you've totally won me over...Desserts for Breakfast!! OH MY GOODNESS. This recipe is a combo of all the things I love! Espresso, dark chocolate and even a touch of salt! YUM YUM!! Wow I especially love the photo with the recipe. Love the front blur and the black background. Just a spectacular photo! ha! they're far from perfect. :) I use Adobe Photoshop for the gifs. It's oh! so beautiful presentation. I adore the bottle sweater (or scarf?). Awesome blog I will follow to draw inspiration from! 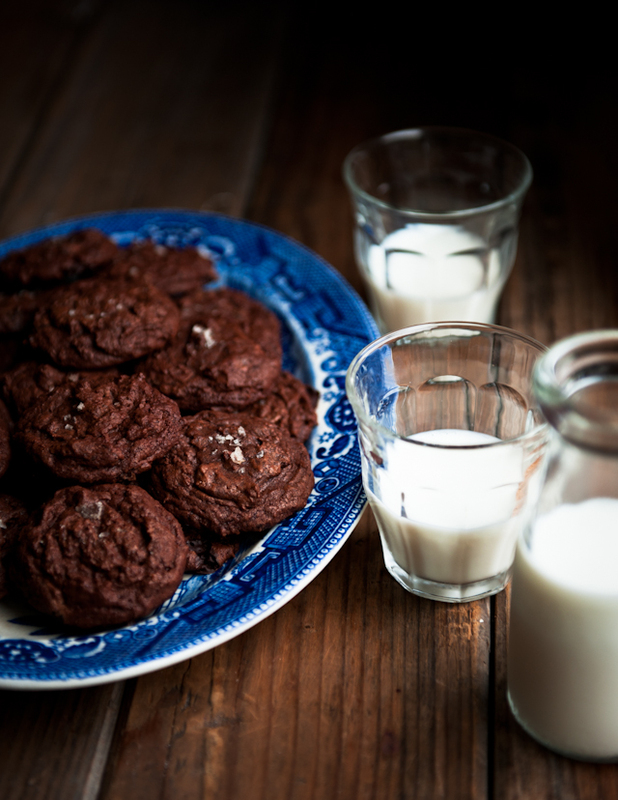 dark chocolate espresso cookies.. love love the idea!! 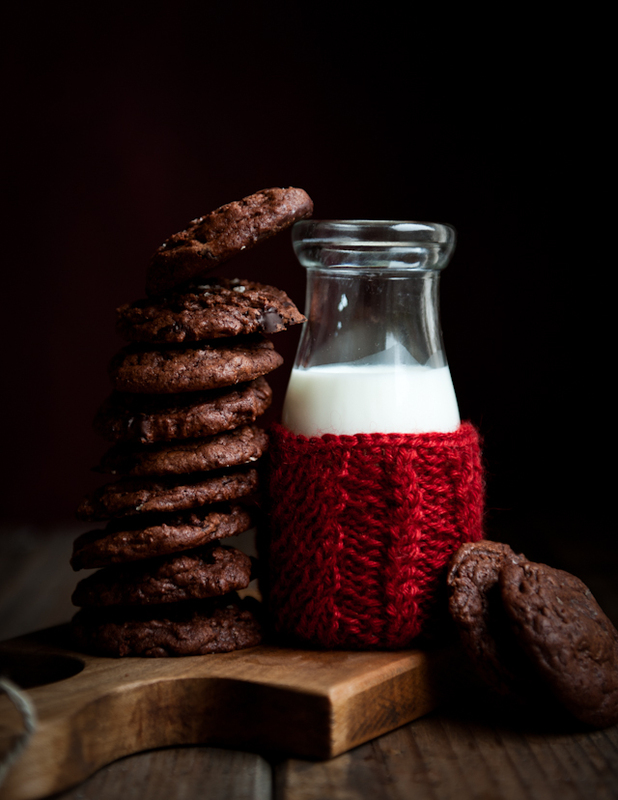 milk and cookies.. is my comfort food when working on a project.. there's something so right and childlike about them!! am bookmarking these!! These look seriously good. One question - you said you substituted coconut oil for butter in the original recipe - could I sub back in the exact same weight of butter if I can't find coconut oil? Thanks! 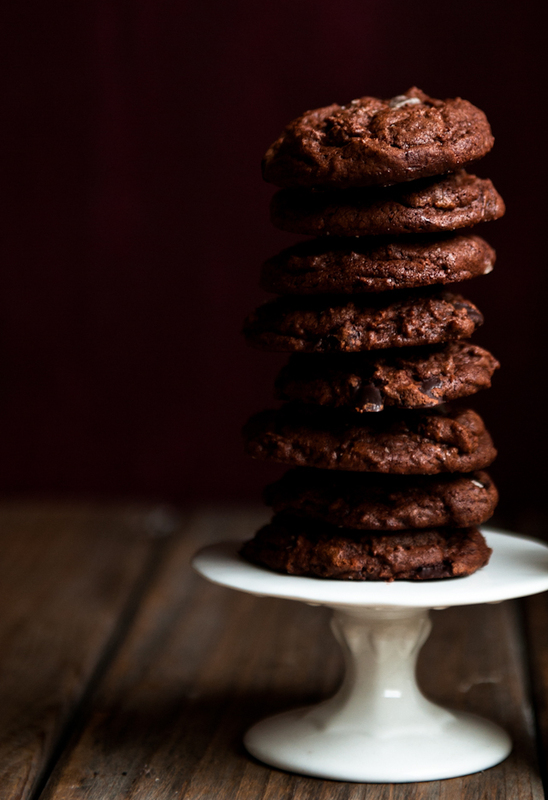 These cookies are absolutely gorgeous and right up my alley! 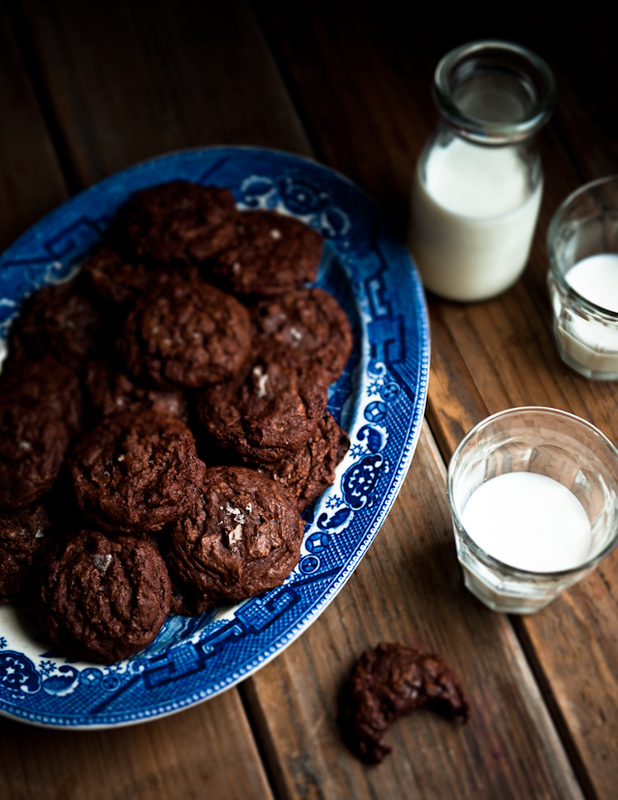 I firmly believe chocolate (or baking with chocolate) can help writers block. It's a proven fact. I'm going to make these tomorrow in the hopes they get me to start NaNoWriMo albeit 2 days late. Hm, I haven't tried it with butter myself, but I trust Alice's recipes, so I bet the butter will work! very cool. I love the dunking hand! The cookies look great. Kate - Whole Foods stocks coconut oil in London (I used to buy it in the Clapham store). Congratulations on posting the last piece on your school's web site. I'm quite certain you've inspired even more readers. 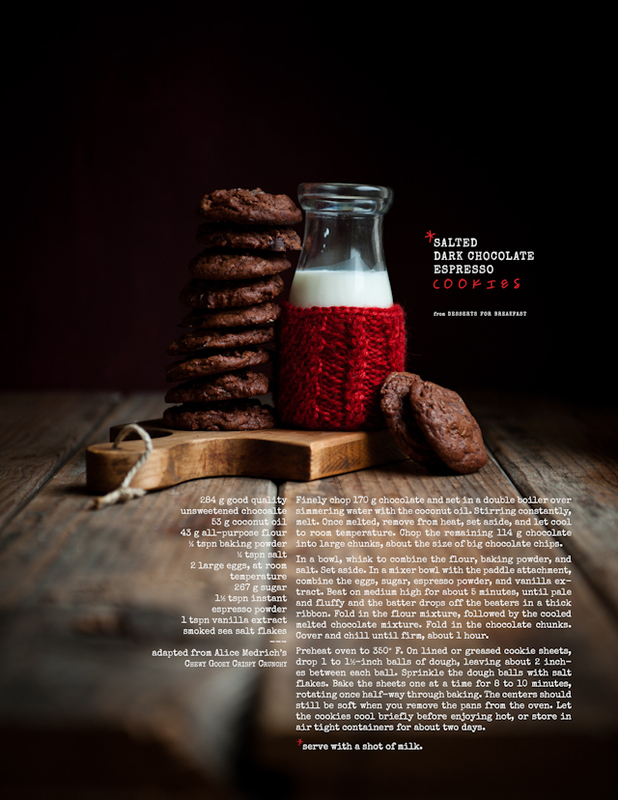 I would say delicious cookies.. i have tried many cookies but chocolate cookies are my favorite.. will surely going to try it soon.. nice recipe..
Wow these look sooo delish! And I adore that cute milk holder. It looks so snug and precious.